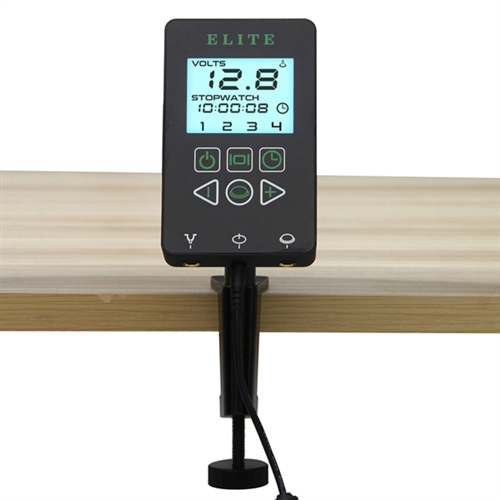 -The ELITE PS350 power supply has the big , clear , crisp and bright display screeen. 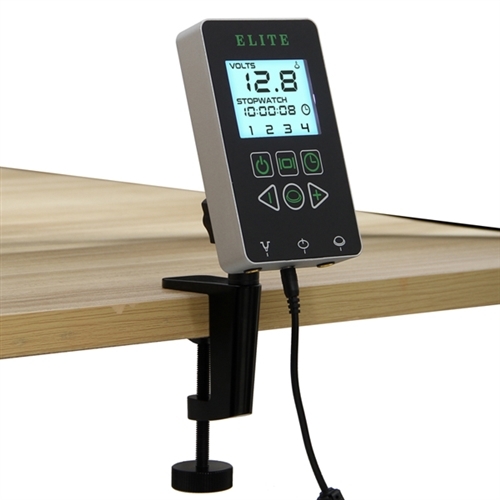 -With a specially touch screen display, artists are able to touch the display while wearing gloves. 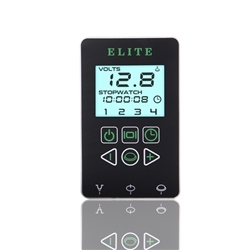 -Four preset voltage channel buttons "1" "2" "3" "4" for saving your favorite voltage setting. -The Timmer button is used to start / stop and reset the timmer functions. -Footswitch mode has "Momentary" and "Maintained" modes. 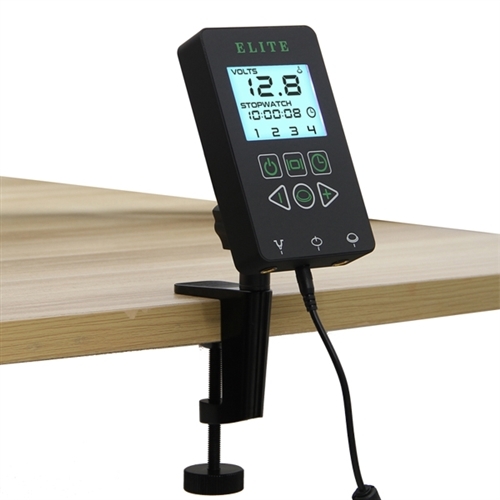 -The stand allows 270 degree view, and easilly mounted on your tables. Input Power : 110-240V, used for world wide.